You will likely have already heard of the Nextbase brand before because they have won many awards for their dash cam releases and still continue to produce top quality dash cam products. If you are looking for a new dash cam you know investing in one with Nextbase is going to guarantee you a good quality product that is going to last. The Nextbase brand can be a little expensive when it comes to dash cams and if you don’t have a lot to spend on one the Nextbase 101 Dash Cam is considered to be one of the best value for money dash cams available. Easy to install – A lot of dash cams these days are a little technical and come with a load of wires that nobody knows what to do with – The Nextbase 101 Dash Cam takes away all the stress and provides a simple booklet to follow when installing the dash cam for the first time. A simple wire and window mount are the only accessories included which makes installing this dash cam effortless. G-Sense file protection – All of the files on the dash cam are protected on collision with another object. This is done with thanks to the G-Sensor that automatically detects an impact and safely protects the files that can be used at a later time. This technology is invaluable to users that do have unfortunate accidents and are blamed for causing them even though it wasn’t their fault – the proof lies in the video recordings. LED Display – The 2 Inch LED display built into the dash cam is big enough to watch playback of videos it has recorded on the spot. It has crystal clear viewing so you can show police the evidence there and then if required. 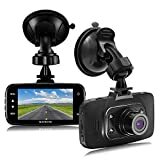 720p HD videos – The dash cam has 720p HD recording along with a 120 degree wide viewing angle which provides the camera with a wider view of the road – this helps catch all of the minor details a lot of other dash cams seem to miss. 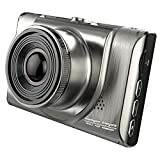 Small compact design – This dash cam is a lot smaller than its competitors and that is beneficial for those that like to keep the dash cam at all times – it is not big enough for people to see from a distance so no one will be tempted to break in and take it. 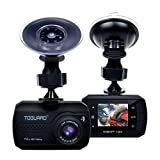 Suction mounting device – This dash cam can be attached to the suction mounting device it comes with for easy installation to any windscreen. You can simply attach the dash cam to the mount and then stick it to the windscreen – it holds its grip very well and won’t fall even when driving over rough terrain. Top quality audio – This device comes equipped with a quality microphone so it will catch not only the video of the incident but it will catch what has been said as well. This is great for when people threaten other road users. Loop recording – A loop recording feature will ensure older recordings get overwritten with newer ones if the device has ran out of space. 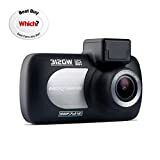 Hours of recording time – This dash cam can be used with a 32GB capacity SD card so you will be able to record for up to 7 hours before it starts its loop recording feature. Once the storage is full you can also delete older recordings manually if you wish. Plug and play – Simply stick this to your windscreen and hit play and you are ready to drive with a valuable witness should anything ever go wrong. 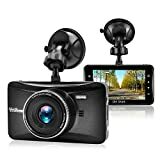 This dash cam provides a lot of the basic features and is perfect for anyone that is not necessarily that technically gifted. 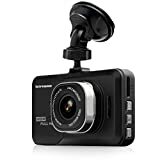 If you are looking for a cheap and cheerful dash cam that works perfectly and isn’t going to cause you any future problems, the Nextbase 101 Dash Cam can offer you a great experience and it still provides all the basic features other expensive dash cams provide as well. With HD recording at all times you can be guaranteed you have an affordable witness that is going to record everything on your travels.